Both Alden and Higgins were early examples of creative academic innovators whose energies took them beyond the campus into the competitive world of industry. In 1885 they joined with several Worcester businessmen to establish the Norton Emery Wheel Company. 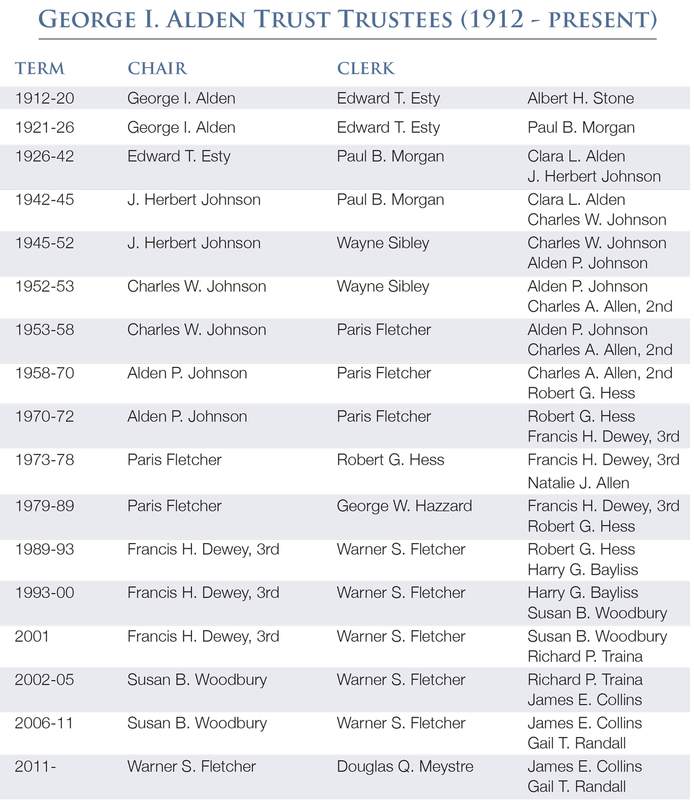 Alden became treasurer and Higgins president. Not until 1896 would they devote full-time to the Norton Company, which grew by leaps and bounds through good times and bad. By then Alden had invented a dynamometer for measuring the power of all kinds of machines, the first hydraulic elevators had been invented and produced by him and Higgins, and Alden had established and directed the second hydraulic laboratory in the United States. After 1896, as the Norton Company prospered, Alden continued his interest in education that would help young people become effective contributors to society. He became a trustee of WPI, a trustee of the newly formed Worcester Boys Trade School, and a leading member of the Worcester School Committee. As second president and later chairman of the board of Norton Company, Alden initiated one of the first programs for helping employees to acquire further education. Alden was an experienced and successful teacher who wanted others like him to be aided in their efforts. He provided well for those as independent as he was in mind and spirit. George Alden's horse and buggy, Barber's Crossing. From the collection of Worcester Historical Museum, Worcester, Massachusetts.